Apparent RA: 1h 53m 4s Apparent Dec: +36° 10' 44"
104x15s frames stack in registax and curves in photoshop. 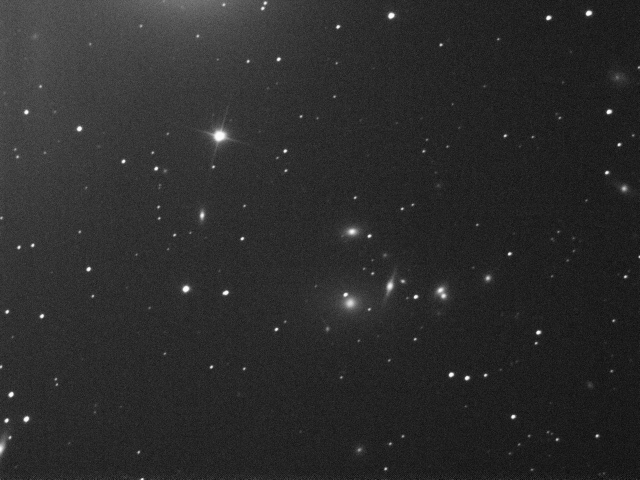 Many galaxies are in the FOV, as this is the central region of cluster Abell 262. How many can you see? I count over a dozen without trying.